It’s a sad thing to admit, but sometimes I don’t care if I have guests cancel on me for Thanksgiving. I’m guaranteed at least my immediate family, which accounts for five people, and we always invite a number of others. But if someone can’t make it, it’s a disappointment, sure, but I’ll tell ya, the joy my family has with those leftovers make up for it! So the more turkey that goes uneaten during that special feast, well, the better off we are for it. My own personal love of turkey leftovers stems back decades, to when our parents would take my brother and I to Philadelphia where we would enjoy Thanksgiving dinner with our grandparents. It was in an aging row home that they had lived in since our father was a little boy. Our grandma had cooked in that kitchen for years, and the classic flavor of her Thanksgiving feast is unmatched in the annals of culinary history (we believed it then and we stick by that sentiment today). She had the timeline nailed down. Everything would be served together, hot and ready to go. We had mashed potatoes, cranberry sauce, stuffing, crescent rolls, green bean casserole, asparagus, and my personal favorite – sweet potatoes (NOT candied yams – there IS a difference). But reigning over it all was the juiciest, largest, most flavorful turkey you could imagine. 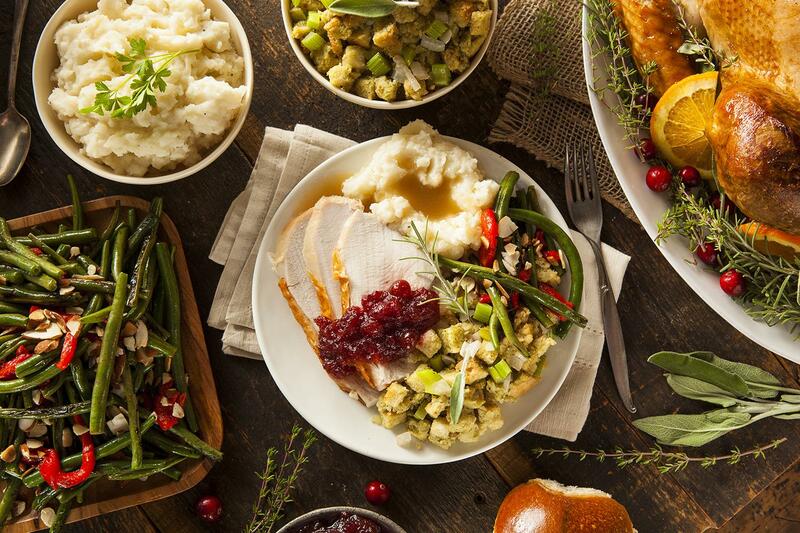 And since these visits date back as far as the 1970’s, you can bet we were eating organic farm-raised turkey minus any modern chemicals or additives. Delicious! And yet, that wasn’t my favorite part of Thanksgiving. Sure my brother and I had our fill of that delicious meal. We’d eat pretty early, around four o’clock, just as it was barely starting to get dark on the old crowded city street that was just a few feet beyond the front steps. Nearly everything would be devoured. And that’s when the assortment of homemade pies made their appearance. 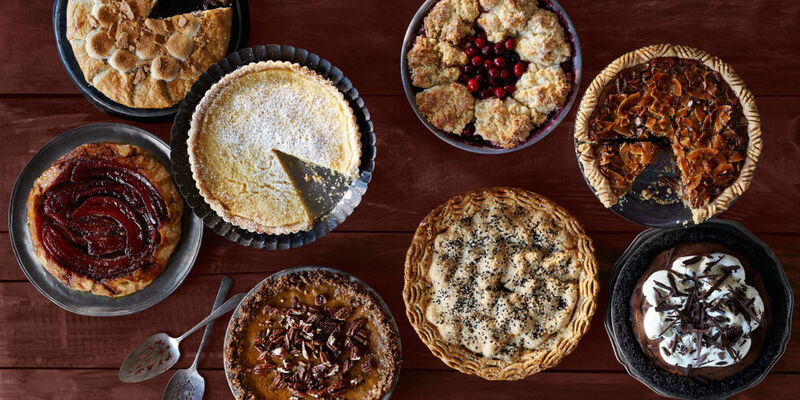 Of course, Pumpkin was the constant, but you’d also find apple and blueberry… all homemade. This was before the days that you could walk into any grocery store and pick up a reasonable facsimile of a bakery fresh pie. Usually, when all was said and done, the only thing left was a LOT of turkey. One year, after a few hours had passed, at around nine o’clock in the evening, a family tradition was naively started. Our Uncle Vinnie took a fresh Amoroso Italian roll (a Philadelphia mainstay) toasted it, cut some fresh lettuce and tomato, and added a bit of mayonnaise to create possibly the most delicious Turkey sandwich mankind has ever enjoyed. We each made our own, hand pulling the meat into thin strips so we could add as much as we wanted without it being too dry. My brother had the idea of adding a little onion salt, personalizing it to his taste. Each year since, this is how we indulge. The turkey barely has time to become ‘left over’! THIS is my favorite part of Thanksgiving. And I have since adopted and adapted it for my own family, and it’s certain that my children will carry on the tradition. There are important factors that one must keep in mind, however. For instance, you need to determine how long the leftovers will last beyond that first night of joyful tastebuds. If you have an abundance of meat that will easily last more than a week, freeze half of it. Fresh turkey will stay good in the fridge for three days, four at the longest. Leave out just enough to last a couple of days so that none goes bad. 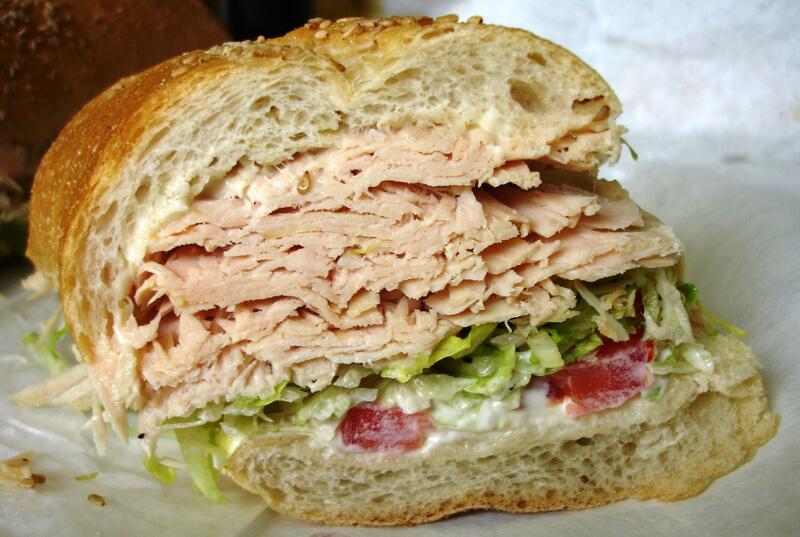 Of course, I recommend those turkey sandwiches with all my heart. But I would never deny someone their options! One of my other favorite – and easy – dishes to make is a microwaved plate of turkey and gravy (and mashed potatoes and stuffing – if there are any left!). This is when all that work preparing the feast pays off! Pop a platter in the microwave and you have the tastiest quick meal possible! And of course, you’d be slightly amiss without coming away from Thanksgiving with some turkey soup! 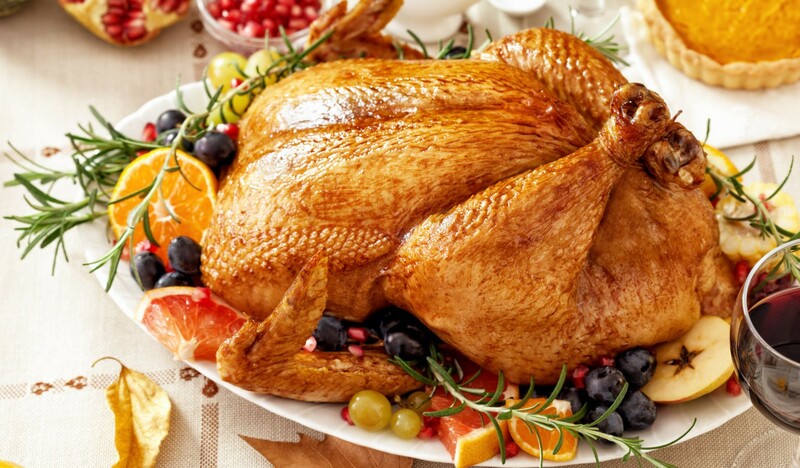 Once you have bagged the majority of meat for later consumption, place the turkey carcass into a large pot with your choice of spices and veggies. 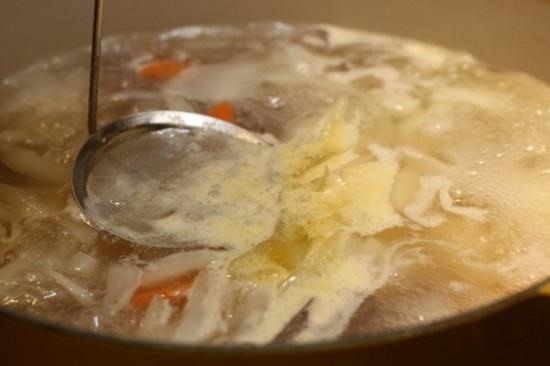 A good mix would include celery, carrots, onion, bay leaves, poultry seasoning, sage, and chicken broth. Add water as needed. Let it boil, reduce the heat so it simmers, and cook the frame until the remaining meat leaves the bones. This should take no longer than an hour. Remove the carcass. Season the mixture to taste with salt and pepper (if needed) before stirring to a boil over medium-high heat and skimming the remaining foam off. You now have delicious turkey soup ready to be enjoyed immediately or placed in containers for a later treat. Such a joyous time with family and friends is only made better with the addition of delicious food. Over the years, we see beloved faces disappear as new ones emerge. In our hearts the memories of past Thanksgivings last forever. And although it’s an old cliché, the truth of it all really is that the secret ingredient – the one that makes it all so special – is love. Your kids are lucky to have you! Sounds like you make a great sandwich!